Producing effective treatment for substance addictions can greatly decrease its prevalence and improve the lives of individuals with addiction. Substance addiction is complex as it encompasses a variation of pathways and structures affected within the brain leading to different behavioural and psychological changes . Medications used to treat addiction reflect this knowledge – different combinations of pharmacological treatments are used depending on the type of addiction . The majority of medications used are effective but there are still some limitations to them. Medications used to treat alcohol, opiate, and stimulant addictions differ due to the different effects these substances produce. Learning and memory also seem to be involved in relapse through the maintenance of drug-cue associations. Targeting these processes could lead to new treatments to prevent the incidence of relapse. Naltrexone, used in the treatment of alcohol addiction, is considered a non-selective opioid receptor antagonist although it seems to mainly act on the μ-opioid receptors (MOR). When we consume alcohol there is an increase in dopamine release within the nucleus accumbens (NAc) and is what causes the positive feelings associated with alcohol consumption. Naltrexone functions by reducing the release of dopamine within the nucleus accumbens that occurs during alcohol consumption . These effects can decrease the “positive” feeling associated with alcohol which can then lead to reduced cravings and thus decrease the likelihood of its consumption. It was found that on its own alcohol consumption was not affected by Naltrexone but it had reduced the pleasurable sensation associated with alcohol consumption . Other studies have shown that Naltrexone produces better results in reducing heavy drinking and craving . A 2012 study  administered naltrexone intravenously, subcutaneously and intracranially into the ventral tegmental area (VTA) of rats, followed by intravenous application of ethanol. Intravenous and intracranial administration of the antagonist prevented the maintenance of dopamine rather than preventing its release. 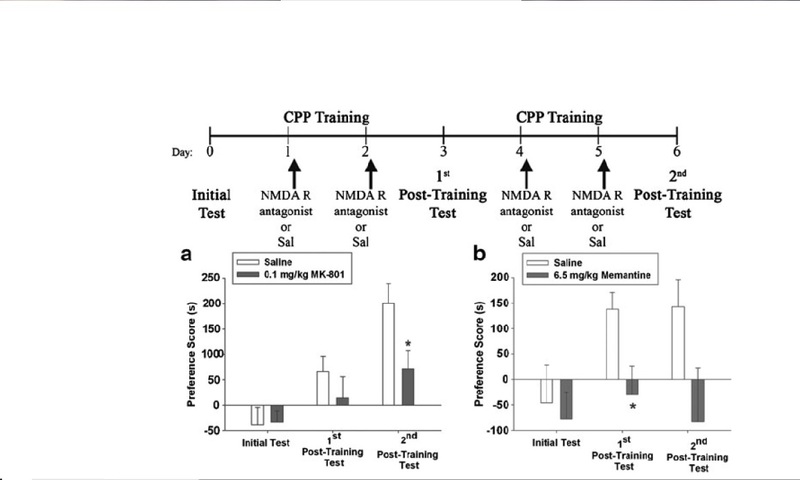 This is in contrast to previous findings that suggest that dopamine release is prevented by the antagonist. Due to these and similar studies it can be assumed that naltrexone is involved in both the reduction of dopamine release and maintenance which overall results in the reduction of the “positive” effects commonly associated with alcohol. Under normal conditions alcohol is broken down to acetaldehyde which is then converted to acetic acid by the enzyme acetaldehyde dehydrogenase. Disulfiram, or better known as Antabuse inhibits the action of the enzyme acetaldehyde dehydrogenase. This causes higher levels of acetaldehyde to be found in the individual’s system which causes adverse effects when consuming alcohol since this acetaldehyde causes the unpleasantness commonly experienced during a hangover. A single drink could cause the individual to feel sick with symptoms including dizziness, vomiting, blushing, possibly even fainting (just to name a few) when taking disulfiram . Due to its adverse effects it appears to only be effective if the individual is motivated to remain on the medication or if its intake is monitored. Disulfiram has also been found to inhibit the enzyme dopamine- beta- hydroxylase which is responsible for the conversion of dopamine to noradrenaline . As a result of this blockade, there is an increase in dopamine levels and a decrease in noradrenaline within the brain tissue. Due to these effects of disulfiram, it can be used for the treatment of cocaine as well . Alcohol exposure alters the normal glutamatergic activity. Acamprosate (calcium-acetyl homotaurinate) functions by restoring this normal activity in the treatment of alcohol addiction. When compared to naltrexone, acamprosate was found to be most effective for maintaining abstinence . Acamprosate was found to modulate the NMDA receptor by binding to a site that is spermidine sensitive . Its modulation of the receptor appears to depend on acamprosate concentration. At low concentrations it increases activation of the receptor if the activity is low and at high concentrations it inhibits high receptor activity . Thus, acamprosate acts as a partial co-agonist of the NMDA receptor. It appears that acamprosate also has the ability to regulate the expression of NMDA receptor subunits it certain areas . When compared to naltrexone, acamprosate was found to be most effective for maintaining abstinence . Methadone is used in alleviating withdrawal when treating heroin addiction. It is a synthetic opioid but it is not as potent or able to produce long-lasting effects as heroin. The individual is essentially replacing heroin with methadone to help alleviate some of the symptoms of withdrawal. Methadone is a full agonist and is found as a racemic mixture of R- and S- methadone with R-methadone being the stronger agonist  and has been shown to be a substrate to the transporter P-glycoprotein. P-glycoprotein is a transporter found at the blood-brain barrier and intestines. The amount of methadone required seems to depend on the individual. This variability seems to be a result of P-glycoprotein interaction with methadone and genetic variants of this protein and how it interacted with methadone were examined . Results indicated that methadone was an inhibitor of the wild-type and other variations did not demonstrate this effect. This is believed to explain why some individuals, with a variation in this protein require higher dosages of methadone compared to those with the wild-type. Buprenorphine is used in the treatment of opiate addiction as it helps to alleviate symptoms of withdrawal effectively  and is often favoured over methadone. Buprenorphine is a partial mu-opioid receptor agonist that produces an effect similar to that of opiates . It is usually slower in dissociating from the mu-opioid receptor which decreases the potential of dependence and tolerance when compared to full mu-opioid agonists . Yet, there is still the chance that an individual could become dependent on the medication. The effects of buprenorphine on its own and in combination with naloxone were studied by Fudala et al (1998) in opiate addicts. Since naloxone is an opioid antagonist it was combined to determine if it would decrease the possibility of buprenorphine abuse. It was found that buprenorphine combined with naloxone produced opioid antagonist-like effects which would decrease the potential of abuse by addicted individuals . At the cellular level buprenorphine appears to have an effect on intracellular calcium . Brailoiu et al (2012) utilized imaging techniques to look at the calcium levels within the striatal neurons of rats. It was found that application of buprenorphine increased the level of intracellular calcium within these cells. Application of selective opioid receptor antagonists, did not affect the increase in calcium that buprenorphine induced, whereas naloxone (opioid receptor antagonist) did reduce this increase in calcium. Beta-endorphins were found to produce the same effect as buprenorphine. This could explain why it is used to alleviate the negative feelings associated with withdrawal. Varenicline is a nicotinic receptor partial agonist used in the treatment of nicotine addiction. It specifically binds to α4-β2 nicotinic acetylcholine receptor (nAChR) receptors  to stimulate the release of dopamine although not as effectively as nicotine would. Due to the similarities of cocaine and nicotine’s effects on the brain this medication also seems to decrease the use of cocaine . Its ability to function as an agonist appears to be dependent on its concentration and the type of receptor it acts on. Varenicline was found to act as an antagonist of β2-nAChR which blocked some of the effects produced by nicotine and when concentration was increased, it acted as an agonist at the β4-nAChR . Relapse is a major factor that inhibits affected individuals from remaining completely abstinent. An important factor that influences relapse is drug-environmental cue associations. These drug associated cues produce reinforcing behaviours to seek the drug even when an individual has been abstinent for years. Thus, if an individual has been abstinent for years during this time they are constantly at risk of relapse. Current research is looking into how they can use pathways associated with memory, such as consolidation and reconsolidation to target these maladaptive memories, to create new pharmacological treatments to decrease the incidence of relapse. Alaghband and Marshall (2012) studied both consolidation and reconsolidation of drug-cue memory associations. It was found that application of NMDA receptor antagonists, MK-801 and memantine, impaired the formation and preservation of these drug-cue memories . These compounds caused the animals to seek the previously cocaine-associated environment much less than those animals injected with saline . If such results could be reproduced in humans, perhaps, it could lead to a decreased need of the addictive substance upon seeing these cues. Immediately after training sessions the MK-801 impaired the preference for the “cocaine-environment” versus animals given saline injections (A). Memantine produced same results but stronger (B). Two studies looked at the susceptibility of alcohol related memories to reconsolidation. It is hypothesized that during retrieval of a consolidated memory it could become susceptible to change and consequently be altered. A study by Goltz et al (2009) wanted to examine whether alcohol-related memories would be susceptible to this process of reconsolidation. Alcohol seeking behaviour decreased within rats following the introduction of anisomycin and MK-801 into their system . These results implicated that these substances could disrupt these memories. Wouda et al (2010) were also interested in this but utilized different substances. This time beta-adrenergic receptor antagonist propranolol and the NMDA receptor antagonist MK-801 were looked at . Following three-post training tests for animals treated with both substances a decrease in alcohol-seeking behaviour was noted. This study also implicated that reconsolidation of these alcohol-related memories could be disrupted. Beta-adrenergic receptors could become a new target for pharmacological therapy for alcohol addiction. 1. Nestler E.J. Is there a common molecular pathway for addiction? Nature. 8: 1445-1449 (2005). 2. Drugs, Brains, and Behavior: The Science of Addiction. http://www.drugabuse.gov/publications/science-addiction/treatment-recovery. (2012). 3. Benjamin, D., Grant, E.R., Pohorecky L.A. Naltrexone reverses ethanol-induced dopamine release in the nucleus accumbens in awake, freely moving rats. Brain Research. 621: 137-140 (1993). 4. Latt, N.C., Jurd, S., Houseman, J., Wutzke, S.E. Naltrexone in alcohol dependence: a randomized controlled trial of effectiveness in a standard clinical setting. MJA. 176: 530-534 (2002). 5. Maisel, N.C., Blodgett, J.C,. Wilbourne, P.L., Humphreys, K., Finney, J.W. Meta-analysis of naltrexone and acamprosate for treating alcohol use disorders: when are these medications most helpful? Addiction. 108: 275-293 (2012). 7. Nolen-Hoeksema, S., and Rector, N. Abnormal Psychology, 2nd Canadian edition. McGraw-Hill Ryerson, Toronto, Canada, 2011. 8. Musacchio, J.M., Goldstein, M., Anagnoste, B., Poch, G., Kopin, I.J. Inhibition of dopamine- β-hydroxylase by disulfiram in vivo. The Journal of Pharmacology and Experimental Therapeutics. 152: 56-61 (1966). 9. Spanagel, R., Vengeliene, V. New Pharmacological Treatment Strategies for Relapse Prevention. Curr Topics Behav Neurosci. 13: 583-609 (2013). 10. Naassila, M., Hammoumi, S., Legrand, E., Durbin, P., Daoust M. Mechanism of Action of Acamprosate. Part I. Characterization of Spermidine-Sensitive Acamprosate Binding Site in Rat Brain. Alcohol Clin Exp Res. 22: 802-809 (1998). 11. Rammes, G., Mahal, B., Putzke, J., Parsons, C., Spielmanns, P., Pestel, E., Spanagel, R., Zieglgansberger, W., Schadrack. The anti-craving compound acamprosate acts as a weak NMDA- receptor antagonist, but modulates NMDA-receptor subunit expression similar to memantine and MK-801. Neuropharmacology. 40: 749-760 (2001). 12. Moody, David.E. Metabolic and toxicological considerations of the opioid replacement therapy and analgesic drugs: methadone and buprenorphine. Expert Opinion on Drug Metabolism & Toxicology. 14. Nigam, A.K., Ray, R., Tripathi, B.M. Buprenorphine in Opiate Withdrawal: A Camparison with Clonidine. Journal of Substance Abuse Treatment. 10: 391-394 (1993). 15. Brailoiu, C.G., Deliu, E., Hooper, R., Dun, N.J., Undieh, A.S., Adler, M.W., Benamar, K., Brailoiu, E. Agonist-selective effects of opioid receptor ligands on cytosolic calcium concentration in rat striatal neurons. Drug and Alcohol Dependence. 123: 277-281 (2012). 16. Fudala, P.J., Yu, E., Macfadden, W., Boardman, C., Chiang, N.C. Effects of buprenorphine and naloxone in morphine-stabilized opioid addicts. Drug and Alcohol Dependence. 50: 1-8 (1998). 18. Plebani, J.G., Lynch, K.G., Yu, Q., Pettinati, H.M., O’Brien, C.P., Kampman, K.M. Results of an initial clinical trial of varenicline for the treatment of cocaine dependence. Drug and Alcohol Dependence. 121: 163-166 (2012). 19. Ortiz, N.C., O’Neill, H.C., Marks, M.J., Grady, S.R. Varenicline Block β2-nAChR-Mediated Response and Activates β4-nAChR-Mediated Responses in Mice In Vivo. Nicotine & Tobacco Research. 14: 711-719 (2012). 20. Alaghband, Y., Marshall, J.F. Common influences of non-competitive NMDA receptor antagonists on the consolidation and reconsolidation of cocaine-cue memory. Psychopharmacology. Hi the material is really interesting so far. I'm wondering if there is non-drug treatments such as therapy that are beneficial as well? For your introduction I don't know if you noticed you have a separate picture code beside your picture. Maybe place the picture url in the pictureurl= | column so it'd resize and float everything for you? Hi, there are behavioural treatments (psychological treatments) but for the wiki I decided to look into only the pharmacological side. Thanks for trying to improve the look of my wiki! I didn't really look into that so I wouldn't know what to say, sorry. Thanks for the video, though!